Suggested Fitting: Girls up to shoe size 3.5 order same as street. These look like good shoes! We sent them back because they run so small. I recommend to size up at least a full size over street shoe, that was our experience! My daughter is almost 4, she's a size 11 or 29 in street shoe, we ordered an 11 in these and I couldn't get them on her feet. Capezios and Theatricals have run about half size small for her. 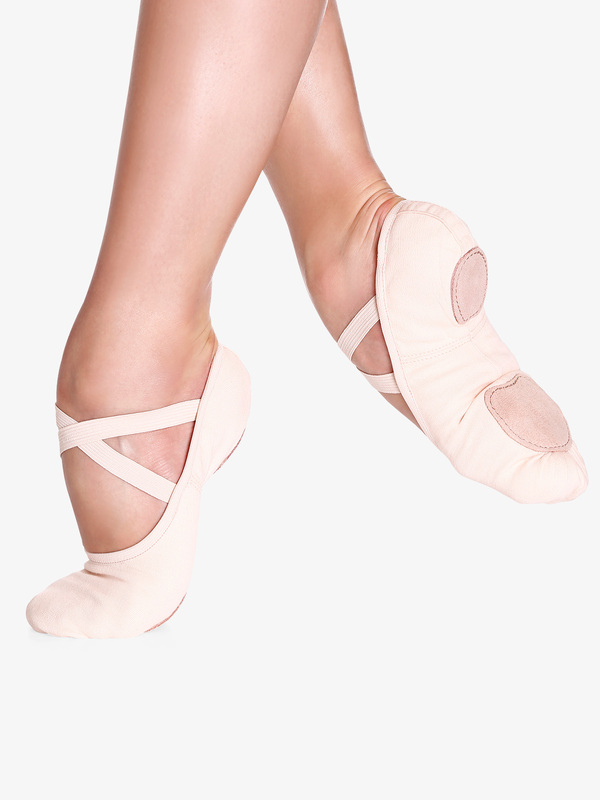 Our ballet school just added these shoes to the dress code. My 10-yr-old loves them!! They are stretchy and stay on her foot-the Bloch Synergy style would slip off her heel continuosly. She also loves that there are no drawstrings. These shoes are perfect for accenting the arch. No bagging with pointing our on demi-pointe. So happy these are required for my young dancers and the DDS now carries them! Beautiful ballet slippers! What do the A,B,C mean when selecting sizing? A, B, and C are the width selections with A being the most narrow.